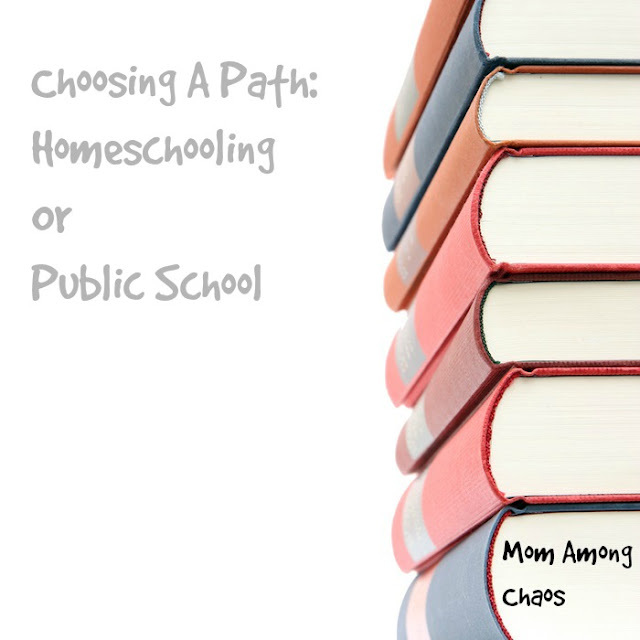 Before my oldest was born, my heart was leading me towards homeschooling. I hated the day my husband signed her up for a preschool program. It was even worse when she started all day kindergarten. It felt wrong. I did not work and was perfectly capable of teaching her. We had friends and went out on excursions, so socialization wasn’t a concern for me. It was when she was half way through first grade that I finally brought her home. By then, she believed I wasn’t as “smart” as her teachers. Already, she had decided she was “too stupid” to do the math and hated reading. We had a lot of work ahead of us. In spite of that, I believed things would be better for her and her younger sister at home. For a time, things were going well for them. They grew to love reading, discovered their personal interests and opinions, and gained a firm foundation. As time went on, however, they grew older. Raging towards teendom, they began to hunger for outside friendships, input, and knowledge. I got them involved in a co-op, but the distance was a stretch, and many of their friends lived even further away. Finding girls, their age, who homeschooled, and lived near us, was not very fruitful. Though the classes interested them; they wanted more. They enjoyed the group learning experience. It wasn’t long before they refused to do their lessons at home and began “bucking the system” we had. They wanted to go to public school. I cringed at the idea. I resisted and tried to reject the possibility. Even after my husband enrolled them, I hoped my girls would see all the reasons why I didn’t want them there and would decide to come home. With eyes open, they did see and understand my resistance, and there were moments they did consider homeschooling again. At this time, though, each has chosen different paths. My younger daughter is loving school and her friends. She is excelling and has made the high honor roll every term this year. My older daughter has applied to the local middle college program and is hoping to attend this fall. Opposite my fears and doubts, my daughters are standing strong, not only in their academics but also in themselves. Going to public school has not ruined them. The foundation we built is too strong. I am no longer afraid of the influences others may have on them because I have seen the influence they have had on others. Their courage to be themselves, share their faith, and to go against the grain, shines in their daily lives. They are not afraid to question what they are being taught and pursue their understanding of most things. (Math is still an issue for my oldest.) Their friends have not corrupted them either. They have befriended those in need and have strived to be a light in their friends’ lives. At home, they didn’t have such a far reach. A year after diverting onto this journey I can honestly say it has been a blessing. Not only for their friends and them but me. A blessing to watch them spread their wings, test their faith, and grow. To get a small taste of the fruit which has been sown into their spirits. Letting them choose their path is a long, ongoing process. A beautiful adventure of growth for each of us. I know the river is just beginning to hit rapids and other treacherous waters. With each white water rush, I get to know them and myself in new ways. There is a freedom in that. In all honesty, there is still a part of me that misses having them home. I know, though we could still homeschool, we have made the right choice for them. My desire is for them to walk the path that is best for them. At one time homeschooling was, but now it is not. It has been difficult to accept, especially when I see other families stick homeschooling out successfully. Looking back, though, I’m finally okay with that. Nicole Salzano is the author of, “I Should’ve Stayed in Bed”, and owner of The Eccentric Housewife blog; http://littlemrsnikki2.blogspot.com/ She is the mother of 6, homeschooling and living on a hobby farm in SE Michigan.